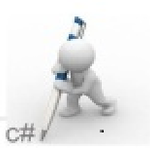 I am working on various .net technologies from 5 years. I have experience in developing, deploying, maintaining and troubleshooting software systems of small and large scale. I...Read moreI am working on various .net technologies from 5 years. I have experience in developing, deploying, maintaining and troubleshooting software systems of small and large scale. I have experience to work on desktop application using windows form and WPF. I am confident that I can make a significant contribution to your company by providing my excellent software development skills to your company and its clients. As a developer I feel that my greatest strengths are being able to write and code individual program from specific requirements, investigate and analyses reported defects.